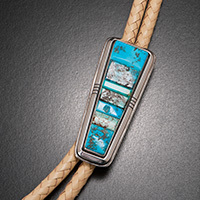 Turquoise is the gemstone of the Southwest, a stone that, especially when paired with silver, symbolizes the region for people around the world. 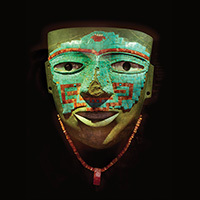 Distinctive traditions for using turquoise in jewelry and other objects developed over many years reinforce that perception. 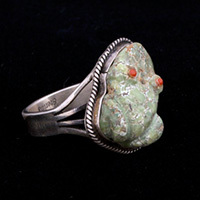 However, while there are numerous turquoise mines in the region, some only miles from this museum, turquoise is also valued and used elsewhere in the world. The high regard for this blue-green stone is not recent. 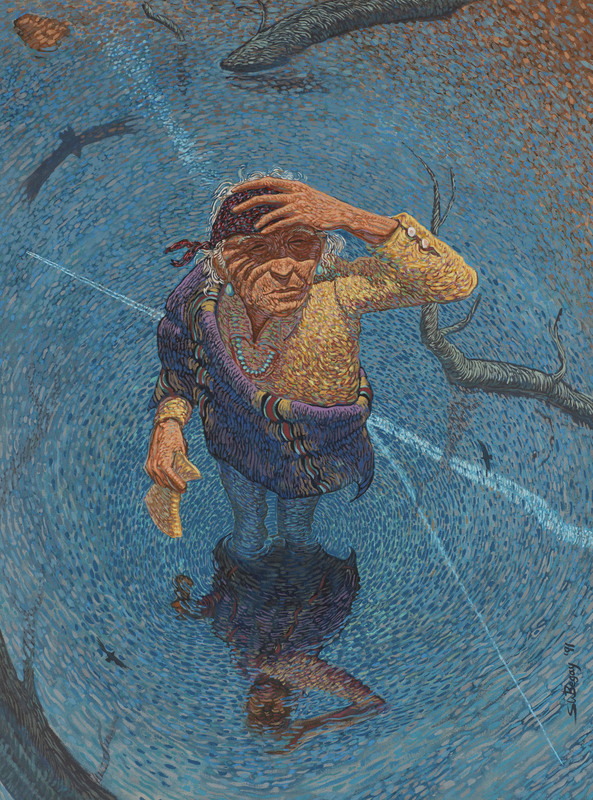 People in the Southwest have been using it ceremonially, medicinally, and decoratively for millennia. In the past, as today, turquoise represents origins and belonging, protection and health, abundance and beauty. It stands for all aspects of a good life and, more explicitly, it symbolizes water, sky, rain, sun, bountiful crops and healthy, happy children. 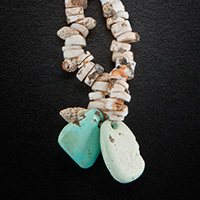 Turquoise is integral to the local cultures—no wonder it represents them to the world!